If you're a working mom who is breastfeeding and pumping at work, and you struggle with bringing too many bags with you for your pumping needs, and the ugly "briefcases" just don't cut it. Kaylaa Breast Pump Bags are the perfect solution to bring all of your pumping necessities, plus laptop, purse, and everything else you may need, in just ONE single bag, effortlessly. And on top of that, everyone will envy how fashionable you are with your stylish bag, without even knowing it's a pump bag. Using only the highest quality materials and crafted from a rugged nylon, these bags resist tearing and features polished silver snaps to reduce wearing at all major stress points. Premium zippers won't lose their grip and the dual lined insulator pockets can hold and keep full bottles cold for up to six full hours. No longer breastfeeding? No worries! 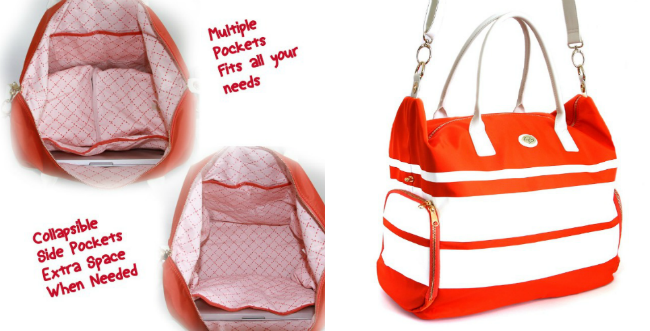 The Kaylaa breast pump bag easily converts to a normal handbag in seconds! Make your pumping life easier in a fashionable way with the newly designed Rosy Weekend. This beautiful breast pump bag goes great with just about any outfit you choose for the day. Come on, be the stylish mother you've always wanted to be without sacrificing form for function. 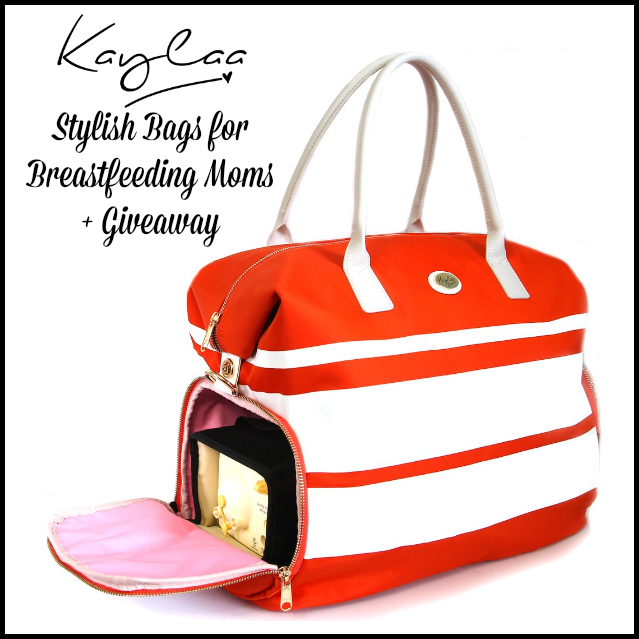 One VERY LUCKY Nanny to Mommy reader will receive a Kaylaa Breast Pump Bag of choice. Entry is simple, just follow the prompts on the Rafflecopter below. Open US only, must be 18+ to enter. Winner chosen via Random.org through Rafflecopter. All winning entries are verified. Please follow us on Facebook to stay up to date with our current giveaways. Good luck! Welcome to "This or That Giveaway Hop"! This event runs November 30th to December 14th, 2016! Each participating blogger has a family friendly prize valued at $100 (or more) or a $25 gift card (or more)! :D There are so many great prizes to be won, so make sure to enter for your chance to win something awesome! This was featured in our 2016 Holiday Gift Guide, if you would like to see your item featured, please contact us. I received complimentary products to provide this post. All opinions are my own. Facebook, Twitter, Pinterest and any other social media are not affiliated with this giveaway. Nanny to Mommy received complimentary products to provide this review and giveaway. 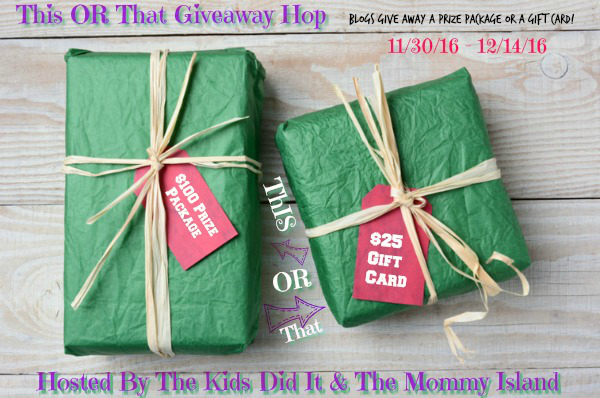 Nanny to Mommy and participating "This or That Stuffer" Giveaway Hop bloggers are not responsible for sponsors who do not fulfill prize obligations. This giveaway is open to US only, must be 18+ to enter. Cannot be shipped to P.O. boxes. One entry per household/IP address. No social media was involved in this giveaway in any way. Winner is chosen via Random.org through Rafflecopter. ALL winning entries ARE verified. Winner will have 48 hours to respond with all information in email or another winner will be chosen. If you would like to see your product featured on our blog or sponsor a giveaway event, please contact us. Or first grandchild was born yesterday so I would love the Luxury Stripe for his mom! I would choose the luxury stripe for myself. I am due with a new baby boy in march and this would be amazing to have! I would choose the KAYLAA PREMIUM BREAST PUMP BAG (LUXURY STRIPE)!! Its gorgeous!! I would keep it for my next!! Ditch that ugly medela bag lol!! I love the Luxury Stripe bag for my sister! I would choose the luxury stripe for my daughter, she had my first granddaughter 5 months ago today. 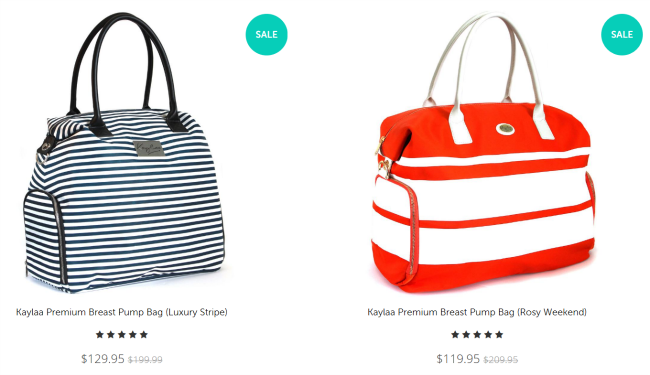 I would choose the Kaylaa Premium Breast Pump Bag (Luxury Stripe) for my cousin who will be having her baby next month. She is a first time mommy, young, beautiful and this will help her be both functional and stylish with her new baby! I would get the luxury stripe bag and give it to a coworker who is due in 3 months. I would choose the Rosy Weekend bag and give it to a friend that is expecting. I would definitely choose the luxury strip bag. I would actually keep the bag for myself. I really like the stripes and the neutral colors. I would choose the luxury stripe bag. I would keep it for myself since I will be having a baby in February. I like the luxury stripe bag. I love how stylish it looks. I would get it for a friend who is having a baby in a few months. She is a working Mom and I know she will use it! Would love the luxury stripe bag! I would keep it for myself!